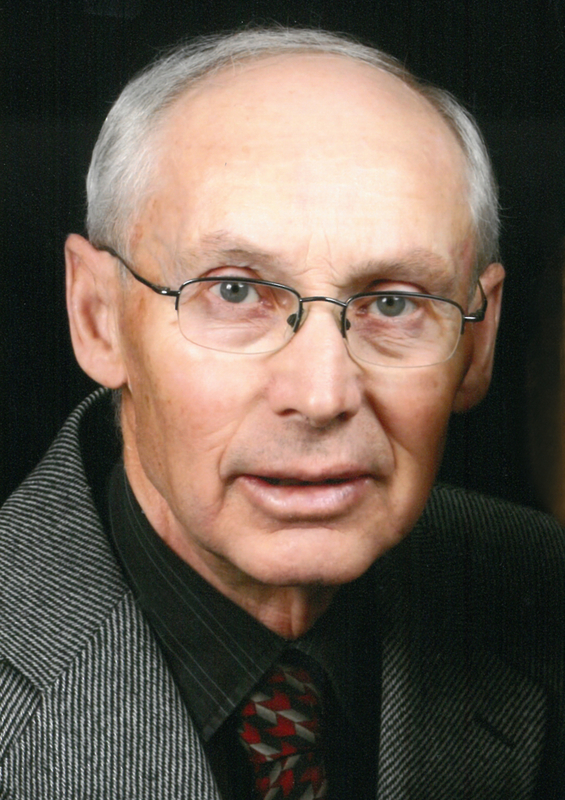 John Klaus Siemens of Rosthern, Saskatchewan, passed away peacefully with his family by his side, and entered the gates of heaven on January 15, 2019 at Royal University Hospital. He fell victim to a stroke in April of 2012 and, by God’s grace, he recovered well. This last stroke occurred on January 12, 2019 and the outcome was irreparable and took him home. On August 14,1937, John was born to Jacob and Helena Siemens on the farm near Jansen, Saskatchewan. In his early years, the family moved to a farm by Drake. He attended a country school until he was needed to work on the family farm and he also worked as a fuel truck delivery driver. He attended numerous summer Bible camps in his teens, which led to his acceptance of the Lord as his personal Saviour. He took an important step in his faith and was baptized at the age of 19. He became a member of the North Star Mennonite Church in Drake until he transferred his membership to Rosthern Mennonite Church in 1962. On January 1, 1961, John married the love of his life, Tina Wiebe. They enjoyed an amazing marriage of 58 years. John and Tina were best friends throughout their marriage. They were blessed to start a family and excited when their daughter, Crystal, was born in 1963, and then their twins, Trevor and Trixy, in 1966. Together with his older brother Henry, John started Rosthern Tire & Battery in 1960. They operated it successfully together for 36 years. John continued to work for the new owner an additional 2 years and happily retired in 1998. He worked hard and provided well to make a good life for his family. He invested much time and energy in nurturing family time, enjoying Friday family night, summer camping trips to Emma Lake, Wheat Kings hockey games, annual ski trips to the mountains, and family vacations to Disneyland, Pennsylvania, Ontario, and British Columbia. John and Tina continued to travel and explore many new places during their retirement years. He always looked forward to extended family gatherings with his siblings. John was very excited to be a Grandpa. He and Tina enjoyed attending as many of their grandkids’ activities as they could, both in Saskatchewan and BC. They were present for many piano and dance recitals and enthusiastically cheered at hockey, basketball, and volleyball games. John shared his love of golf with his grandkids. Many family times with his grandkids were spent playing table games and he enjoyed teaching many of them cribbage. John demonstrated an incredible servant heart. He loved and appreciated his church and community, and willingly served on numerous committees, including the hospital board and town council. His helping hands were always available; John never missed an opportunity to usher at church. After retirement, John did not slow down and filled many hours on the golf course and at the curling rink, where he developed numerous new friendships. He continued his support of the Wheat Kings, attending almost every home game, and he valued his daily coffee times visiting with his coffee buddies. John and Tina prayed faithfully for their family and friends, sharing daily devotional time. John’s life was blessed with lots of laughter and happiness. He leaves a legacy of faith and service, filled with compassion and love. John will be dearly missed. John will forever be lovingly remembered by his wife Tina, daughter Crystal (Noel) Erhardt, son Trevor Siemens, daughter Trixy (Randy) Pichler, grandchildren Braden Erhardt, Brianna (Ben) Folkman, Lucas (Naomi) Erhardt, Regan (Shea) Pichler, Karissa (Oliver) Parsons, Adam Pichler, Sabrina (Phil) Morris, great granddaughters Selah Folkman and Josephine Erhardt, brothers Henry (Alice), Neil (Juliana), Bill (Elsie), Al (Marianne), Erwin (Tena), and Lawrence (Carrie). John was predeceased by his parents Jacob and Helena Siemens, grandchildren Jeremy and Stephanie Pichler, brother Jacob, sisters Helena, Elizabeth (Albert) Epp, Agnes (Ed) Kornelsen. The Celebration of Life will be held on Saturday, February 2, 2019, at 11:00 A.M. at Rosthern Mennonite Church, Rosthern, SK. Memorial donations may be made to: Sask. Valley Hospital Foundation Inc., Box 93, Rosthern, SK, S0K 3R0. Arrangements are in care of Funk’s Funeral Home, Rosthern, SK, (306-232-5245). We have many fond memories of John and his siblings growing up here at Drake. Many Sunday afternoons playing hockey on a dugout in winters and ball in summers. Our sincere sympathies. Our Sympathies and condolences to you all. We learned to know John through the shop and the Church Family. John always made it a point to come and say hello when we came back for visits and we always appreciated that. Thoughts and Prayers for you all in the days, weeks and months ahead. We want to express our sympathies to you and your family on the loss of your dad. Though we did not know him we read about the wonderful dad he indeed was to all of you! Take care of each other and may you feel our prayers and thoughts! Brother Les sends his sympathies as well. We are so sorry for your loss. We both have fond memories of John – Jody from his Wheat King days and Karen from growing up with Trixy. He was such a kind and generous man. We know he will be missed. Our deepest sympathy to you, Tina, and to your children and grandchildren. We will remember John as being a faithful friend who served his community, his church and his friends and family. His kindness and love to us personally will always be treasured. May God give you courage and strength as you mourn the loss of Uncle John. Our thoughts and prayers are with all of you. So sorry we are unable to be with you! The world has lost a kind and gentle man. Our prayers and thoughts are with you and your family. May the Lord comfort you in this time of loss. Our thoughts & prayers are with your family. I am so sorry to hear of Uncle John’s passing. My heart goes out to you, and I can only imagine the ache. Your Father and Husband was such a wonderful, kind man! His heart shone with a humble love for God. I imagine the hole he left in your family will hurt so much. Such a comfort to know he is in Glory with Jesus!! As I saw in pictures I am so glad you had such a wonderful time on vacation with him last year. What a gift to treasure!! Thank you to all of our family and friends who have supported my mom, my sisters and myself during this journey. Your kindness is appreciated. We will miss dad, however, we are comforted by wonderful memories.